Restful and Comfort are our main focuses on accomodation. Our resort building is built in an airy home-style structure in the middle of natural surrounding. Being here will feel like a home away from home. The building features 2.7 meter ceiling and floor-to-ceiling glass doors and windows throughout the complex giving our space an airy feeling with plenty of natural light. With only 16 bedrooms, our place is never too crowded and offers your peace and quietness where you can truly rest. Standard Bedrooms are located on both first and second floor. They are fitted with teak-wood floor and light color teak wood furniture providing a warm and comforting feel. The bedroom is set up with either 2 double beds or a large king-size bed. 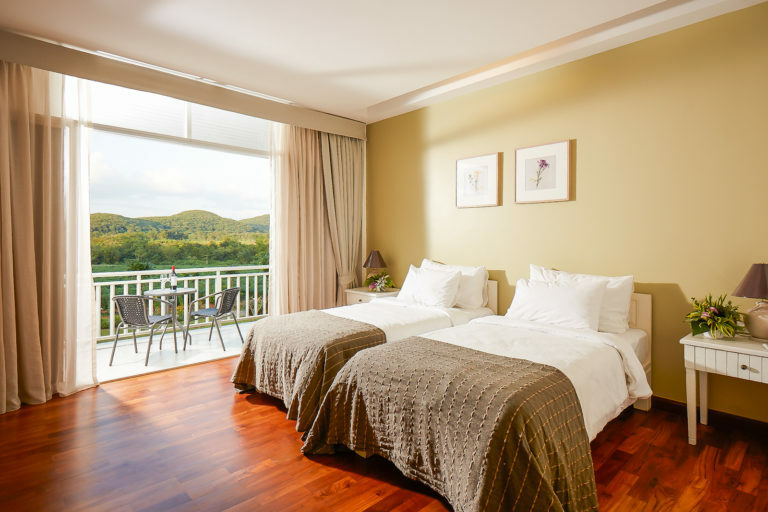 Our floor-to-ceiling glass door opens up to spacious balcony where you can enjoy the view of our luscious garden, swimming pool, farmland, and rolling hills and mountains. Loft Bedrooms is a bi-level set up boasting high 4 meters ceiling. The first level is set up with either two double beds or a king-size bed, while the loft level houses a loft area with another queen bed. Loft bedroom is perfect for a small family or a group of friend as it can accommodates up to four people. 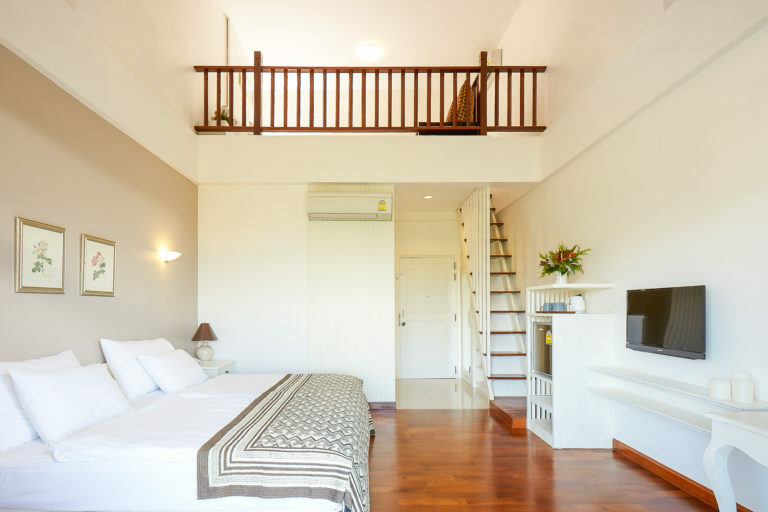 The Loft Bedroom is on the second floor of our main building and has far reaching view around the ground facing open space of farmland or the rolling view of Khao Yai mountain range.